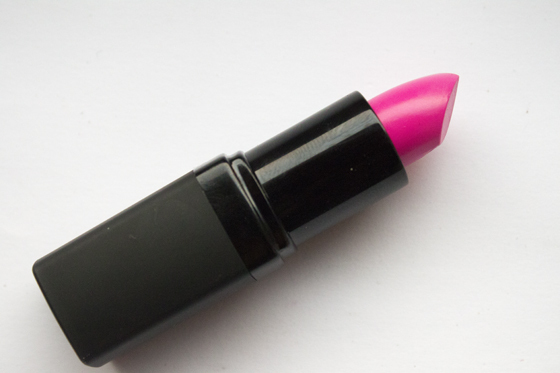 After my woes with the Look Beauty Double Hit Lip in Pink Punch I needed a nice bright pink in my lipstick collection! 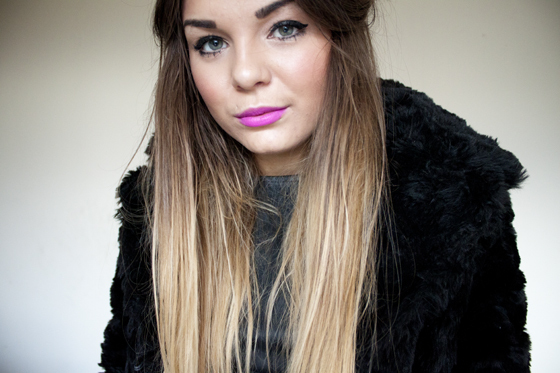 Bought this Barry M lip paint in Topshop a few days ago. I saw it at another Barry M counter in Superdrug but the counter was so filthy I just couldn't bring myself to buy it. 52 is a bright blue toned neon pink. 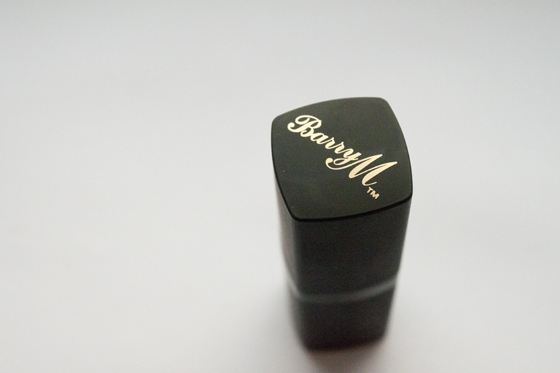 A touch drying like all the matte Barry M lip paints, which can look cakey on dry lips. I think its because of the high colour pigmentation to make it super bright leads the formula to be quite thick and stiff. I like matte lipsticks personally so this is a good'un for me. I wouldn't recommend it if you had dry lips though as it really can look cakey! Its best worn after the lips have been exfoliated and a lip balm applied under it. Its not really something I'd recommend to most people but the colour and price are spot on! It wears well but does stain the lips a little so be careful! I'm a firm Barry M believer so I'm excited you did a review. I miss this brand so much in France. Their lipsticks are ace and really fill the gap until I can afford to buy MAC lipsticks. Great review! Gorgeous colour, really reminds me of Nicki Minaj pink friday. I own this & love it! I've never tried a Barry M lip paint, but i'm skeptical because i hate the nail varnish, while everyone else seems to love it? This looks stunning on you :) I wish I could pull off a bright lipstick like this. Gorgeous colour! I have a Rimmel one very similar which I bought after I had the Barry M one as it doesn't dry out my lips as much & it feels a bit creamier. Love the colour but I could never pull it off! This is such a pretty colour and looks gorgeous on you!!! I actually think it is maybe a little too strong for me. I have the pillar box red lip paint and find that it actually looks the best when it's teamed with subtle eye make up. brill review, such a vibrant colour at such a nifty price! definitely investing in barry m lippy in future! Most of my make-up wonders are Barry M, Love the stuff! i always get compliments when i wear it but find it wears off a little and goes cakey like you said, i want to try the barry m lip crayons but don't know if they are any different or better?